The Bible is still the world's best selling book. Not only is it the holy book of Christians and Jews (at least in part, the first 39 books of the Bible are comprised of the Hebrew Scriptures), but its influence has shaped Western civilization. Shakespeare, Milton, Faulkner, Melville, Steinbeck and many other writers include allusions to the Bible in their works. All American students, whether Christians or Hindus or atheists, should have a working knowledge of the Bible if only to better their understanding of American culture. The way the Bible is presented to students, however, is extremely important. In order to pass constitutional scrutiny in these times, the Bible should be presented neutrally and objectively when taught to public school students - without any political or philosophical biases. Remember though, an anti-Christian bias is no more neutral than a pro-Christian bias. Last week, we briefly reviewed the Bible Literacy Project textbook, The Bible and Its Influence, and some of its liberal tendencies. In this week's article, we'll consider an alternative curriculum put out by the National Council on Bible Curriculum in Public Schools. The NCBCPS elective course materials go through the Bible, both Old and New Testaments, in a straightforward, neutral manner. The Bible is the actual textbook for the course, accompanied by a study guide that focuses on the literature and history of the Bible and the impact it has had on Western culture. The King James Version is recommended, since it has been the dominant English version for nearly 400 years - the version that inspired men like John Bunyan, John Milton, and William Wordsworth. However, students are presumably free to study whichever version of the Bible with which they are most comfortable. and even Dr. Martin Luther King Jr.'s niece Alveda King. The NCBCPS curriculum is not hostile toward the Bible, nor does it promote the Bible in a religious or devotional manner. In Unit 9, for instance, the Lesson 4 sample lesson plan suggests that students, "Choose Psalms that exhibit examples of personification, metaphor, hyperbole, simile, understatement and iteration." The Texas Freedom Network, a liberal organization dedicated to countering the influences of the "religious right" in America, has taken issue with the NCBCPS curriculum. The majority of the TFN's complaints, however, are with the other materials that schools using the NCBCPS curriculum have also implemented, and with older versions of the NCBCPS curriculum - not with the current NCBCPS materials. The Texas Freedom Network's primary concern with the NCBCPS curriculum is that it advocates "Christian Americanism" - the idea that the Declaration of Independence, the Constitution, and other founding U.S. documents were inspired by the Bible. 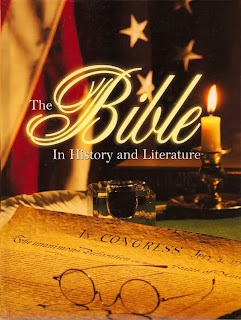 The NCBCPS does argue that the Bible played an important role in major U.S. founding documents. The TFN also criticizes the NCBCPS curriculum for not making students aware of controversies surrounding certain texts of the Bible.The exploration of such controversies, however, are better relegated to biblical experts and not to high school teachers. "We have carefully reviewed the NCBCPS curriculum, and found it to be constitutional in every respect. For that reason, we have promised to defend against any lawsuit challenging its constitutionality, free of charge, provided only that the school in question implement the curriculum without material alteration." No curriculum to teach the Bible in public schools will ever please everybody. The United States is filled with groups that have political agendas and which are trying to force the Bible and Christianity into the margin of American life. The Bible, however, is a vital part of American culture and should be read and understood as a part of a well-rounded education.